With Christmas fast approaching we are faced with the annual dilemma of what special gifts to give to our nearest and dearest. You have probably exhausted all the regular options in past years and are looking for something special, something unique, and above all, something very memorable. We have the answer for you! What could be more appropriate than a gift from the actual birthplace of Christianity, the beautiful Nazareth Valley in Israel? Everyone has heard of the city of Nazareth! The town and village have great significance to Christians, as this is where Mary heard that she would miraculously conceive a child, this is where Joseph had his carpentry shop and this is the very countryside where Jesus lived and walked. A Christmas gift from this lovely fertile Valley is very special indeed! Nazareth Secret has put together a very special range of Holy Land products that are sourced right here in the Nazareth Valley, the original biblical land of milk and honey! Our products are available all year round for your personal enjoyment and make perfect Christian gifts for women, but they are an exceptionally inspired choice at Christmas time. Let me tell you more about them. Nazareth Secret Honey is an exceptional monofloral honey that is produced in small quantities in the Nazareth Mountains exclusively from the flowers of the Starthistle, which is unique to this region. The honey is thick and golden with a marvellous lingering delicate flavour on the palate. It is a completely pure and natural product and can be used in any number of sweet or savoury recipes that call for honey, or as a healthy alternative to sugar-laden syrups on crumpets, pancakes or French toast. The honey is very attractively packaged in either regular or amphora-shaped jars, for a more “biblical” look. The Nazareth Secret Date Spread with Halva Flavour is another unique product from this fertile valley. 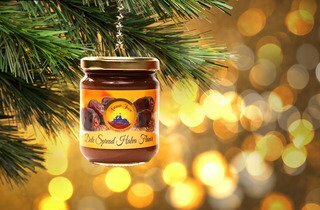 The Date Spread is an all-natural product made from locally grown dates – it is naturally sweet and delicious with an unmistakable aroma and flavour of fresh dates. It is perfect served on toast in place of peanut butter or preserves. It’s also good for you! The locally-found herbs of the Nazareth valley are carefully selected for their pleasing flavours and aromas and expertly blended with selected spices to produce two refreshing and delicious teas that will immediately transport your senses to the fragrant Nazareth Valley. There is a fresh and invigorating Morning Tea to awaken the senses and a calming and tranquil Evening Tea to ensure you are naturally refreshed all day long. Beautiful hand-made pillar and taper candles make a wonderful symbolic gift at any time of year, but are even more appropriate at Christmas. They are hand-dipped in the traditional way by craftsmen in some of the oldest villages near the city of Nazareth and make a wonderful Holy Land gift. An inspired idea for bringing Christmas joy to all your friends and family is to choose some of Nazareth Secret’s Gift Sets from our On-Line Shop or purchase several separate products and then combine them yourself for a very personalized and thoughtful Christmas gift. 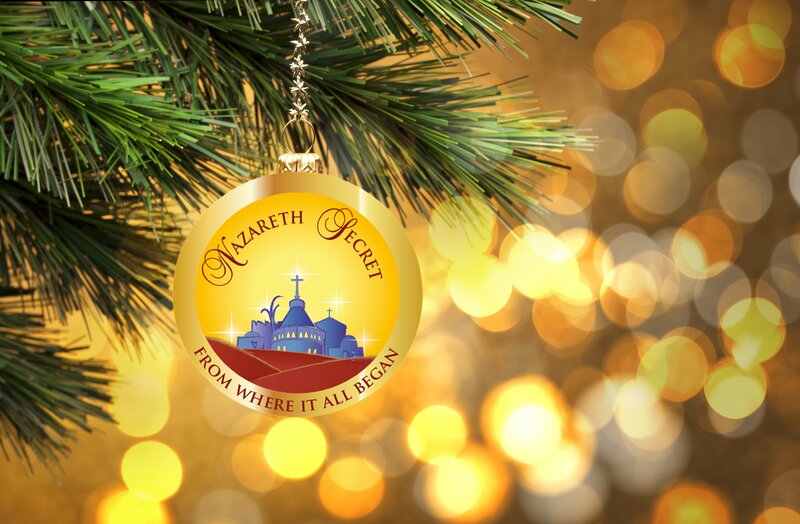 Have a Blessed Christmas with Nazareth Secret.